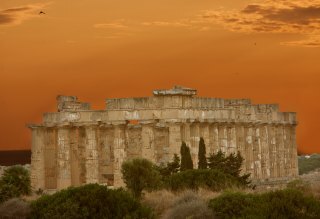 The Room & breakfast "Temple of Hera" is located in western Sicily in front of the Archaeological Park, the biggest in Europe, and offers a panoramic view on the same direct. Walking distance from numerous beaches of selinunte within the natural reserve of the mouth of the River Belìce, the beach below the Acropolis of Selinunte, the beaches of Triscina to the West and East of Porto Palo, blue flag for several years. 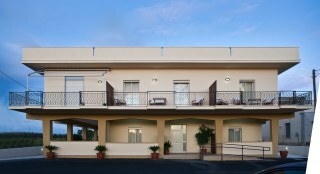 Our structure is therefore in the seafaring di Marinella of selinunte, fraction of castelvetrano (10 km) and, through the A29 motorway, is located about an hour from Palermo and Monreale, Trapani, Erice and San Vito Lo CAPO, Agrigento and about 30 minutes from Castellammare del Golfo and zingaro, from Marsala and Mazara del Vallo. Also from Trapani and Marsala you can take hydrofoils for the egadi Islands and from Trapani and Mazara del Vallo ferries to Pantelleria. Therefore, in addition to Selinunte you can organize excursions in the most beautiful and renowned western Sicily, recalling that the eastern Sicily is only a few hours drive. For this position the structure lends itself well to weekend and to accommodate travelers for business reasons. The Room & breakfast, remains open all year round and offers guest three Standard room, two Superior room and two Deluxe room, for a total of seven rooms. 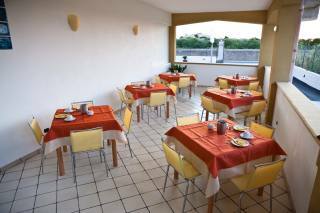 Also offers a large breakfast room where every day, starting at 8: 00 to 10: 30 am, you will find a rich buffet, sweet and salty fresh products of season. 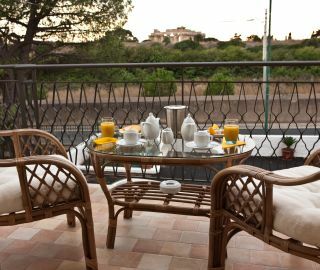 The breakfast room is at guests ' disposal throughout the entire day for the purposes of exercising a lounge where power follow satellite TV programmes. 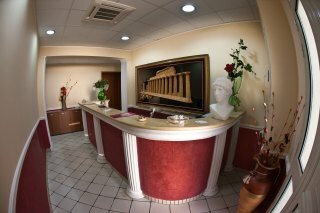 Our reception is always at your disposal 24 hours a day. This makes the hotel an ideal place to spend relaxing. Our rooms are equipped with every comfort: air conditioning and heating, LCD TV color, frigobar, telephone and bathroom equipped with hair dryer, bed linen, towels and complimentary toiletries. The standard room are notes about 18 sqm with the possibility to add an extra bed. 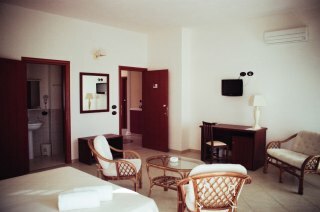 The superior room are notes about 22 sqm with ability to add up to two beds and enjoy a comfortable veranda with sitting area. The deluxe room are notes about 32 sqm with ability to add up to three beds and have a large balcony with sitting area and a lovely panoramic view live on Archaeological Park where you can admire in shines Temple of Hera, and the ruins of the Temple of Athena and Zeus. N.B.The above rates are per room per day and are inclusive of buffet breakfast, parking and 10% VAT.-Extrabeds euro 20 per day. Private parking in supervised the video area. Shuttle service to the Lydians and the village of Marinella. Castelvetrano: Church of San Domenico, old town and system of Squares where you can admire: the mother church, the Church of the Purgatory, the Collegiate Church of St Peter, the Palazzo Pignatelli-federiciano Castle, the fountain of the Nymph, theatre Selinus, the Museo Civico which Ephebe and the Church of SS.Trinity of Delia. Partanna: Medieval castle and Ethno and Archaeological Museum, spa Water PIA (bordering Montevago). 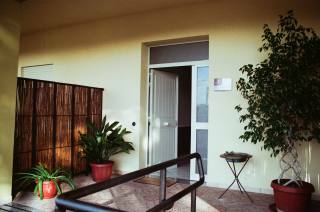 From Palermo and from Trapani, take the motorway A29 direction Mazara del Vallo. At the exit of castelvetrano-Agrigento continue for Selinunte SS115 dir.From Palermo in Sicily there are approximately 100 km (about 1 hour drive). From Agrigento, take the SS 115 towards Trapani until junction to Selinus. From Agrigento at Selinunte there are approximately 100 Km to go in about 1 hour. The nearest airports: Palermo (90 km) and Trapani (90 km).Private transport from the airport to Selinunte upon request.The nearest train station is Castelvetrano located 12 km from Sicily. N.B. : Links and transport bus from the station on request.